It looks like Marvel Comics may be teasing a sequel to one of its biggest event comics ever, Civil War. 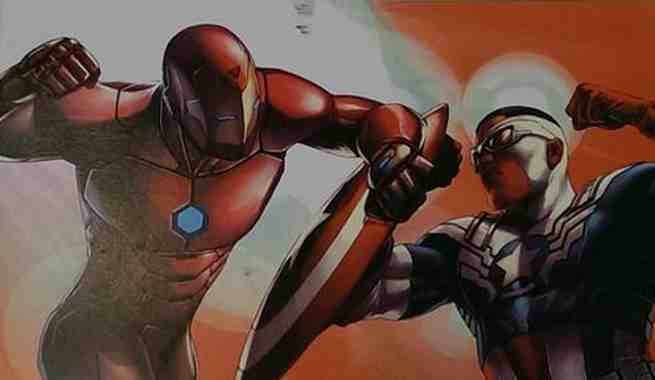 Retailers received a post card from Marvel featuring Iron Man battling Captain America (Sam Wilson) in a style reminiscent of covers to the original Civil War series. On the reverse side is the Roman numeral “II” in Civil War’s red font, and the date "Spring 2016." Could the All-New, All-Different Avengers be on the road to war before they even make their debut? Marvel had no other details to add when reached for additional comment about the mailer. We’re sure we’ll hear more from Marvel sooner or later, but let us know your thoughts in the comments below.